Is your little climber trying to make an escape from his crib? Has your baby girl grown into a kicking toddler who jabs you in your side when you sleep? It may be time for a big kid bed! Step2 recently came out with a new twin-size bed. To celebrate the launch of this new bed, they’re giving away a Loft & Storage Twin Bed (the winner's choice of the "Boy's" or "Girl's" version) to one lucky reader! We actually own an older version of the Lifestyle Loft & Storage Twin Bed that is just brown, and my son LOVES it! Not only is it a fun place to go to sleep, there is also tons of storage room underneath! I love the new color options, too! I would buy one for my Sophie, but she adores her Step2 Princess Palace Twin Bed! This prize is valued at $299.99. Giveaway open to the residents of the 48 contiguous US states, ages 18+. 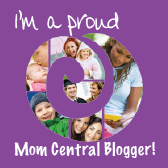 Ends 8/18/13 at 11:59 PM EST. Please enter using the Rafflecopter form below. Good Luck! a Rafflecopter giveaway This promotion is in no way sponsored, endorsed or administered by, or associated with, Facebook. Newly Crunchy Mama Of 3 is not responsible for prize fulfillment. Giveaway is open to residents of the 48 contiguous US states, age 18+. Giveaway will close at 12:00AM ET on 8/18/13. One (1) winner will be selected at that time and winner will be contacted by email within 48 hours. 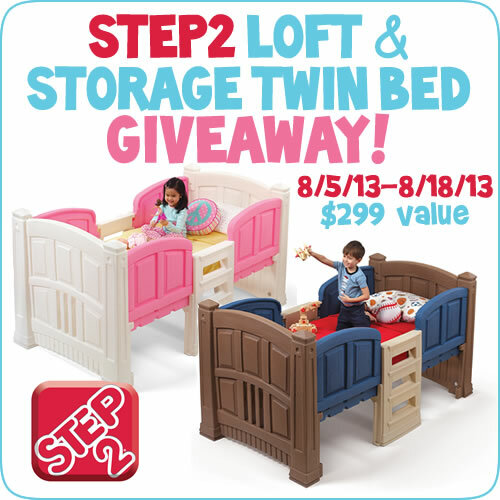 Winner may select a "Boy's" (tan and blue) or "Girl's" (pink and white) Loft & Storage Twin Bed. 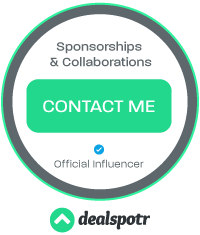 If you have any additional questions, feel free to send an email to thestep2team@gmail.com. why i need to win! i got a 6yr old and a 4yr old and we cant afford them a bed right now... it would be a blessing to win..... please help!!! my grandbaby would love that!